Dog Grooming Aids Are Essentials! Having the right dog grooming aids and equipment to hand is hugely important because dog hair quickly becomes a part of your daily life.... and can take over if you don't keep on top of it. Regular brushing, a bath every now and then, at-home trims (or a visit to the dog groomer) and even a quick spritz of a problem-solving product all help to keep the 'fuzzies' under control. But it's impossible to totally eliminate dog hair in your home. With four dogs in the house I've just had to get used to fishing dog fur out of my coffee cup. I've tried a LOT of products over the years and I've put together a selection of the 'best of the best' dog grooming aids right here. From shampoos and conditioners, through brushes/combs/clippers, to cozy towels and hair-dryers - there's something for every dog! If Your Dog Sheds, Try the SleekEZ! SleekEZ Original Deshedding Tool 5"
The USA SleekEZ is a unique dog grooming aid. Carbon steel blade with patented wave pattern makes removing loose hair, dander and dirt from Fido's coat a breeze. Perfect for long, short, or double coats but not recommended for use on non-shedding 'hair-like' coats (think Yorkie or ShihTzu). Genuine Furminator rival. Available in three sizes. The Perfect Grooming Tool For Nervous Dogs! The 'Scaredy-Cut' is the perfect tool for dogs who's fur needs to be trimmed or cut, but who are terrified of the grooming salon, or the noise that motorized clippers make. Available in pink or blue and in alternative packages that include de-matting comb/flea comb/grooming bag. I'm going to start with the 'FURminator' products because I honestly think they're THE best dog grooming tools around. This hugely popular, veterinarian-recommended FURminator has been proven to reduce shedding by 60 to 80 percent with regular use. Who wouldn't want that! Works on long or short haired dogs of all sizes. If you're tired of dog hair on your furniture/floor/clothes/ then this is just what you need. It's also a boon to dog lovers with allergies. There's a style for long-haired breeds, one for short-haired breeds - even one for cats. Some dogs lose a lot more hair than others, and shedding is a normal part of canine life. 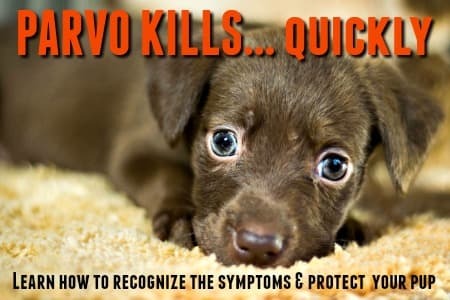 But excessive shedding (whether breed-related, seasonal or developmental), can be a real nuisance. I'd recommend checking out my 'Dog Shedding & How To Handle It!' page as it has tons more tips, advice and recommendations for you. There are tons of other types of dog grooming tools that you can use to remove your dog's loose hair, untangle knots, keep his coat shiny and generally make sure he looks his best. A bristle brush works well on most coat types. For shorter hair use shorter bristles that are densely packed, for longer coats pick a brush that has longer bristles that are further apart. Choose softer bristles for tiny dogs with sensitive skin, and tougher ones for larger dogs or those with wiry coats. Smooth coated breeds can be kept neat and tidy with easy-to-use grooming gloves or rubber 'brushes'. A slicker brush can help you with knots, tangles and matted hair (although if it's really matted, you're often better off just cutting that piece out very carefully and gently). It's also great for wire-haired breeds (many Terriers are wire-haired,) and dogs with curly coats such as Poodles, Labradoodles etc. 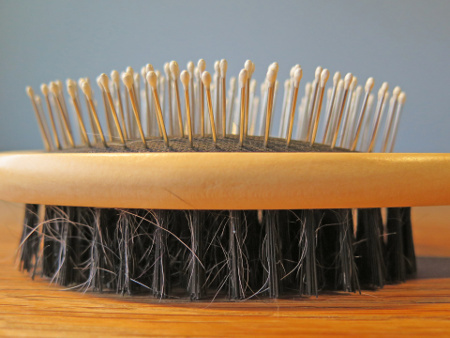 A pin brush is good for dogs with long hair, so is a widely spaced metal comb. These also work great for breeds with a double coat (stiff outer hairs and soft undercoat) Dogs with this type of coat include German Shepherds, Collies, Newfoundlands, Chow Chows, Pomeranians and more. You can use a shedding blade on double-coated dogs to help thin out a thick undercoat. 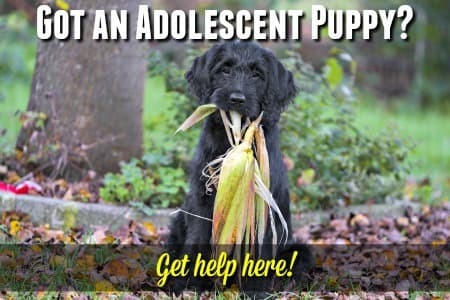 It can also be good for Retriever coats. If you want to trim/cut/thin your dog's hair for easier maintenance, a good set of pet clippers are the perfect choice. Or, if Fido is a bit nervous or anxious around noise-making clippers, why not try the Scaredy-Cut featured above? It would fit the bill nicely. Even if your dog doesn't have the type of coat that needs more than a quick swipe with a brush now and then, there will be times when he needs a bath... and even hairless dog breeds need to get clean and sweet smelling . My step-by-step guide to bathing your puppy gives you tons of tips and advice on how to bathe your pup properly - and these great products will help him get squeaky clean! New from Terrai comes a wonderful range of all natural holistic grooming products which contain organic ingredients. The Pet Veda range are all paraben-free, sulphate-free, alcohol free and non-toxic. Now that Fido is all nice and clean, he's going to need to get warm and dry quickly! A regular towel (warmed up in the tumble-dryer first) can work just fine for smaller, short coated dogs or puppies, but a special super-absorbent doggie towel is even better. Now that you've got your puppy's coat, eyes and ears taken care of, all that remains is the 'pedicure'! Check out my page on cutting puppy nails for tons of tips and advice to make this (sometimes) tricky task quick and easy.